Previously I discussed the next phase of the Pac-Man + NGINX + PHP + MongoDB Kubernetes reference application was to deploy the application using a Kubernetes Federation. This was accomplished and you can read about the details here. But in general, federation made it really easy to manage multiple Kubernetes clusters through one pane of glass by deploying the Pac-Man Kubernetes resources onto the clusters that are part of the federation. It automatically added the necessary DNS entries for the services deployed to provide a load balanced application across all of the clusters. This turned the Pac-Man microservices architecture game into a fully scalable high-availability game. Part of moving to a federation required a data replication strategy so your application's data could scale horizontally as well. This required setting up a MongoDB Replica Set. Unfortunately, MongoDB requires many operations to only be performed on the primary. For example, MongoDB allows reading from many instances, but only the primary can receive writes. In addition, adding replica set members can only be done on the primary. Unfortunately this, combined with the fact that federation at the time of this writing does not yet support things like StatefulSets, involved a bit of manual intervention to bootstrap the MongoDB replica set than I would like. Once the application was deployed in the federation, I modified it to add a Zone: field that would retrieve the zone of the Pac-Man game instance you were connecting to via the load balanced DNS. That is, the federated DNS was updated to resolve to the set of IP addresses of the Pac-Man game service in each of the federated zones to provide load balancing. Multiple refreshes of the game would continually update the zone you were connecting to and display that for you above your score. Once you were done playing and saved your high score, the zone information was also saved along with it. At first, I was creating the Kubernetes federation manually but this became cumbersome and time consuming so I moved to use kubefed which really helped speed up the process of creating a federated cluster. Steps for doing that are captured here. In addition, I learned about some limitations with MongoDB and not having StatefulSets that may pose problems as the application evolves. I'd like to see about performing coordinated migrations of the application as well as handling failover. What would make those tests more interesting is having a larger volume of transactions happening in the game, such as updating more data points on a regular interval defined in the game, while performing those tests. In order to increase complexity in the game I've contemplated migrating the backend to something more adept at handling that task. In any event, doing failover tests may bump up against limitations of MongoDB and the lack of Statefulsets. Time will tell. You can read all about the details of how to set up the Pac-Man microservices architecture game here. So for a while there I was actually feeling just as good using zsh as bash. That was until I started discovering some idiosyncrasies with zsh that were different from bash. It appeared that zsh was not quite as backwards compatible with bash. Even though it seems to support the same features, it does so with similar but different syntax. This made it quite painful because every system I work on has bash installed and used by default, but not necessarily zsh. Also, many scripts out there in repositories are all coded to use bash. Now of course you can specify the shebang to make sure the scripts use bash, but why would I want to use a different shell than the scripts or systems I'm working with use themselves? I would then have to learn and maintain scripts for two different shells depending on what I'm working on. I'll also add that the most promising feature of switching to zsh was the awesome oh-my-zsh GitHub project that gives you a highly customizable framework. This seemed to clearly be lacking in bash and so it was this that made it quite compelling for me at first. In addition, I agree that zsh does have some nice features that work right out of the gate, but it felt like it was more to do with oh-my-zsh than zsh itself. Therefore, nothing was really compelling enough that you couldn't do with bash, albiet with some customizations. This is where I stumbled upon bash-it. It literally promotes itself as being a shameless ripoff of oh-my-zsh. Finally, this seemed to be the piece that was missing from bash that one was able to get with zsh quite easily. I immediately started using it and enjoyed bashing again. Here is a screenshot of it in action. Check it out and let me know how you like it! I've started working on a Kubernetes reference application for demonstration purposes. This reference application will continue to evolve to also work with cloud federation capabilities in Kubernetes. I will provide updates as the application evolves. NGINX is used as the web server to host the Pac-Man game application. It is configured with PHP FPM support for the backend PHP API. PHP FPM is used for the PHP API to receive read and write requests from clients and perform database operations. The PHP MongoDB driver extension contains the minimal API for core driver functionality. In addition, the PHP library for MongoDB provides the higher level APIs. Both are needed. 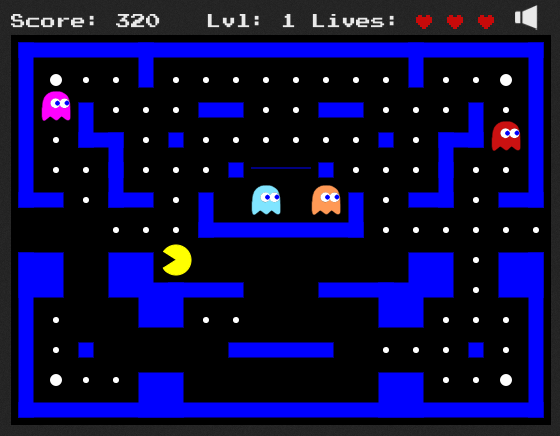 MongoDB is used as the backend database to store the Pac-Man game's high score user data. For a detailed overview of the Kubernetes reference application and how to set it up yourself, see the README in the repository. In the end it was good to understand how the different components of Kubernetes fit together and be able to debug it a bit. After Kubernetes was deployed we deployed Ceph and went about testing CephFS and RBD volume mounts, static provisioning of CephFS and RBD persistent volume claims, as well as dynamic provisioning of RBD persistent volume claims and they all worked great! Note that if you're cloning Kubernetes from source, you will need to build a release in order to generate the necessary binaries in an archive for deployment. Building can take some time - so take a break. We'll be discussing how to download any version of Kubernetes and automatically set up a default cluster as that's the quickest, most configurable option. Particularly, we'll be focusing on downloading Kubernetes and creating a customized deployment on Google Compute Engine (GCE). However, there are also numerous others e.g. gke, aws, azure, vagrant, etc. So, if you're looking to create a Kubernetes cluster on Google Compute Engine (GCE), then an easy way to get started is by following the getting-started-guide for GCE which we'll walk through briefly here. Updating project ssh metadata...|Updated [https://www.googleapis.com/compute/v1/projects/gce-kube-cluster]. Warning: Permanently added 'compute.2723409803693978954' (ECDSA) to the list of known hosts. If this variable is not specified, it uses gce, Google's Compute Engine, by default. After some interactive prompts, which can be avoided by setting KUBERNETES_SKIP_CONFIRM=true, Kubernetes is downloaded and we can start to modify some parameters in the cluster/gce/config-default.sh file. ZONE, REGION - for you zone and region snobs. Export the KUBE_GCE_ZONE environment variable to edit these settings. NODE_SIZE - the default of n1-standard-2 is generally good for my use. NUM_NODES - the default of 3 nodes plus a master is probably okay for many tests. But for anything with higher demands such as a Ceph cluster, you may want to increase this. MASTER_OS_DISTRIBUTION and NODE_OS_DISTRIBUTION - This should match the name of the subdirectory within the cluster/gce directory. As of this writing only coreos, debian, gci, and trusty are available. In order to edit these settings you'll want to export KUBE_MASTER_OS_DISTRIBUTION and KUBE_NODE_OS_DISTRIBUTION to one of the available subdirectory options. NOTE: it appears that the trusty distribution is not currently working due to this issue. MASTER_IMAGE, MASTER_IMAGE_PROJECT and NODE_IMAGE, NODE_IMAGE_PROJECT- Default for the master is the gci image while nodes use container-vm, defined by the GCI_VERSION and CVM_VERSION variables respectively. To get a list of available images to use execute gcloud compute images list. To edit these settings export the KUBE_GCE_MASTER_IMAGE, KUBE_GCE_MASTER_PROJECT, KUBE_GCE_NODE_IMAGE, and KUBE_GCE_NODE_PROJECT to match the image name and project that corresponds to the image you want to use. Make your changes and re-launch. This is a pretty easy and quick way to get a custom Kubernetes cluster downloaded and deployed onto Google Compute Engine (GCE) without much hassle. This is great if you find that you want a particular version of Kubernetes with the ability to set some GCE configuration options.